Family Focus Consultancy - Home - Parents Support, Teachers Workshops, School Engagement. Kids and Learning Outcomes. Family Focus Consultancy (FFC), established in 2015 to meet the needs of Teachers, Schools and Parents on Parental Engagement in Schools. Teachers are able to access professional learning that is NESA Accredited. Family Focus Consultancy can assist you in realising Proficient Teacher and Highly Accomplished Teacher levels. School Administration staff are able to help strengthen their skills in interacting with parents though professional learning materials. FFC can also arrange to work with your Parents and wider school communities to ensure meaningful and authentic interactions and engagement with your School. We offer a Pro Bono service for Parents to support them individually to engage and interact with teachers, schools and the wider Department of Education, building a scaffold to respectful, meaningful and productive relationships which allow for the best outcomes for children. Family Focus Consultancy aims to ensure meaningful and successful relationships between Schools, Teachers, and Parents that put the child at the centre of all outcomes. Play the ball, not the people. Family Focus Consultancy is endorsed to provide the NSW Education Standards Authority (NESA) Registered Professional Development for teachers accredited at Proficient Teacher and Highly Accomplished Teacher. Completing the Improving Parent Engagement for Enhanced Student Wellbeing Workshop will contribute six (6) hours of NSW Education Standards Authority (NESA) Registered PD addressing 7.3.2 and 3.7.2 from the Australian Professional Standards for Teachers towards maintaining Proficient Teacher Accreditation in NSW. 7.3.2 Establish and maintain respectful collaborative relationships with parents/ carers regarding their children’s learning and wellbeing. 3.7.2 Plan for appropriate and contextually relevant opportunities for parents/ carers to be involved in their children’s learning. 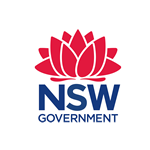 Completing the Accomplishing a Parental Engagement Project with a mixed delivery of Workshop, independent work or collaboration with professional reflection will contribute fifteen (15) hours of NSW Education Standards Authority (NESA) Registered PD. Addressing 7.3.3 and 3.7.3 from the Australian Professional Standards for Teachers towards maintaining Highly Accomplished Teacher Accreditation in NSW. 7.3.3 Demonstrate responsiveness in all communications with parents/carers about their children’s learning and wellbeing. 3.7.3 Work with colleagues to provide appropriate and contextually relevant opportunities for parents/ carers to be involved in their children’s learning.